Winter is a great time to observe birds in your own backyard or from a window when the weather is really cold. The trees have lost their leaves and there is little left to hide the birds from sight. Winter is also a time that birds need some extra special provisions to make their wintering over easier. We can help with providing some winter shelter, food, and water. Many birds have behaviors that help them manage through the cold winter like growing winter feathers, fluffing up to trap body heat, shivering, and changing their diet to fit the foods available. 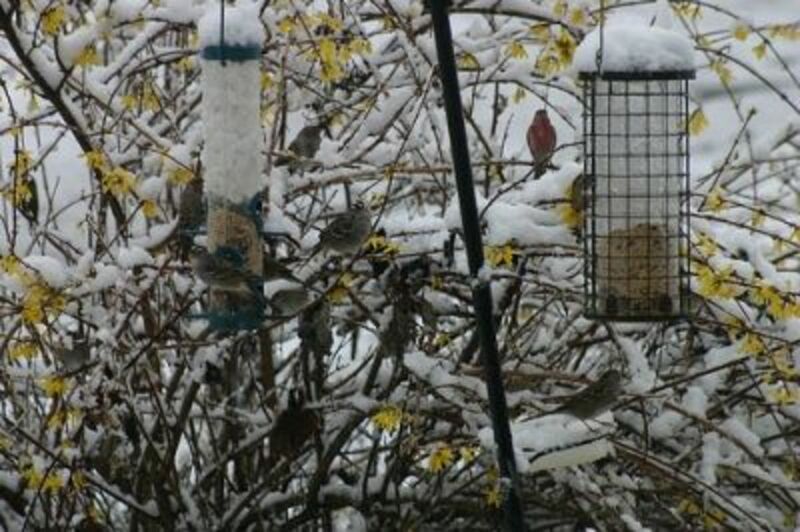 This doesn't mean we can't do a few things to help and encourage birds to winter in our yards. Remember: In winter, birds still need the basics: food, water and shelter. Birds Still Come to Eat in the Snow! Birds need food, water, and shelter at all times of the year to survive but in the winter it is even more vital to offer these basic needs. 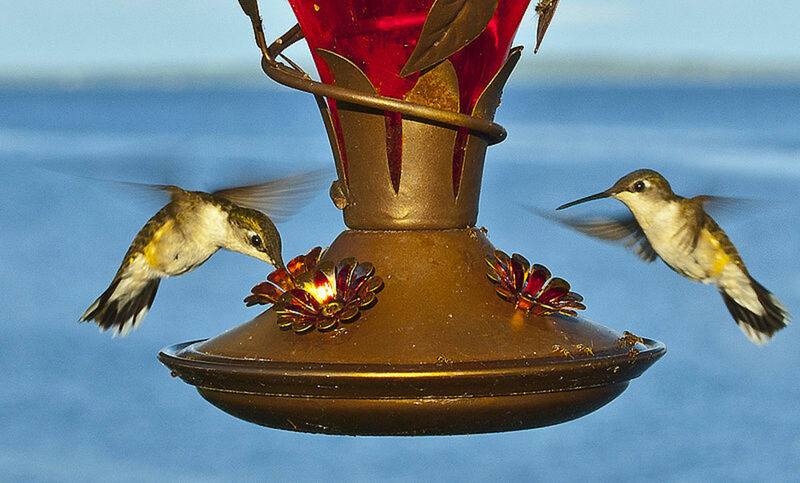 Keep a variety of feeders to help offer give a variety of eating opportunities. Some birds prefer to eat from hopper type feeders, some from platforms, and still others like to cling onto the feeder to eat. All feeders should be filled regularly, more often when the temperatures are colder. Some books suggest filling feeders two times a day to make sure there is food available before dark. Birdbaths with water seems unnecessary during the winter but it is a vital part of the birds needs during the cold months. Shelter in the form of landscaping or bird houses is also necessary for warmth as well as protection. 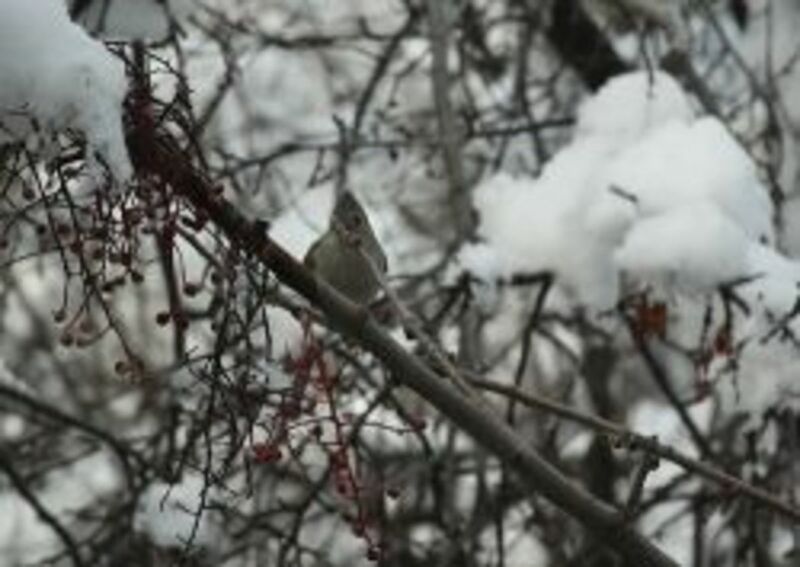 Keep these factors in mind as you plan your strategy for helping birds survive the winter. 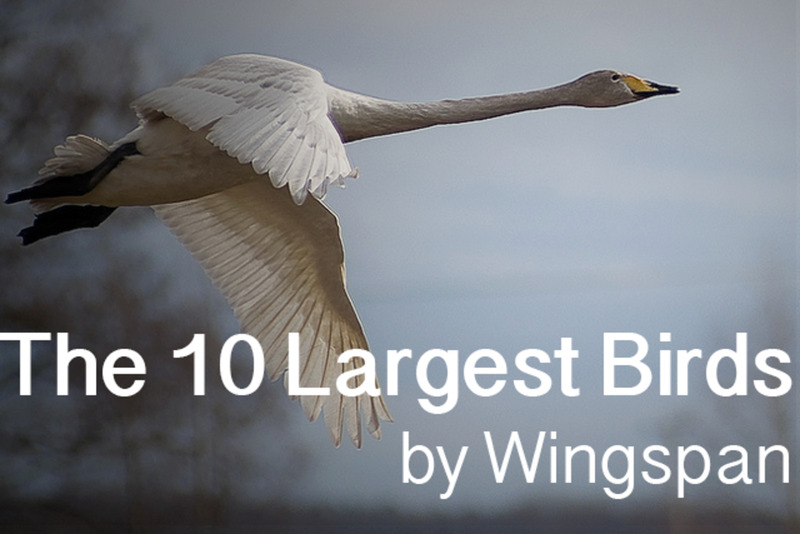 Birds need lots of calories in the winter, increasing the need as the weather turns colder. 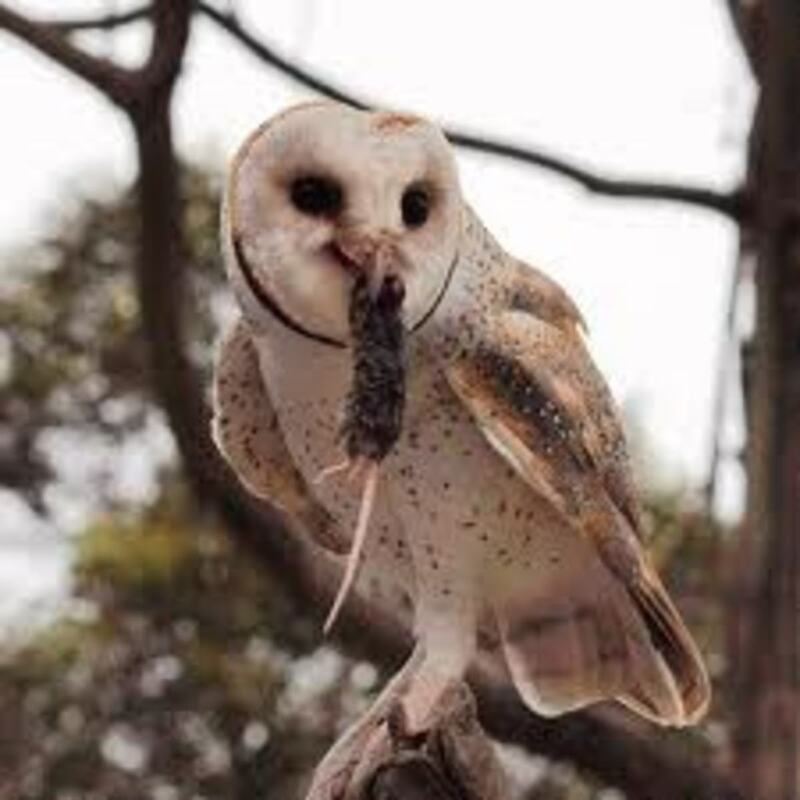 Some birds change from a diet of insects to other sources available in the winter. The trouble is that many times even seeds and berries are scarce when the weather is stormy or there is a deep snow. 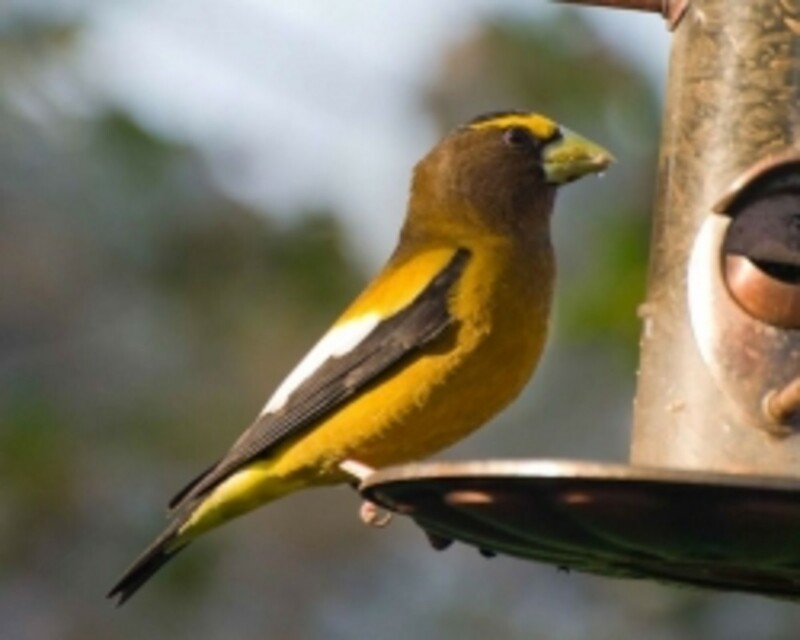 Birds will look to feeders for a reliable source of calories during the winter months. 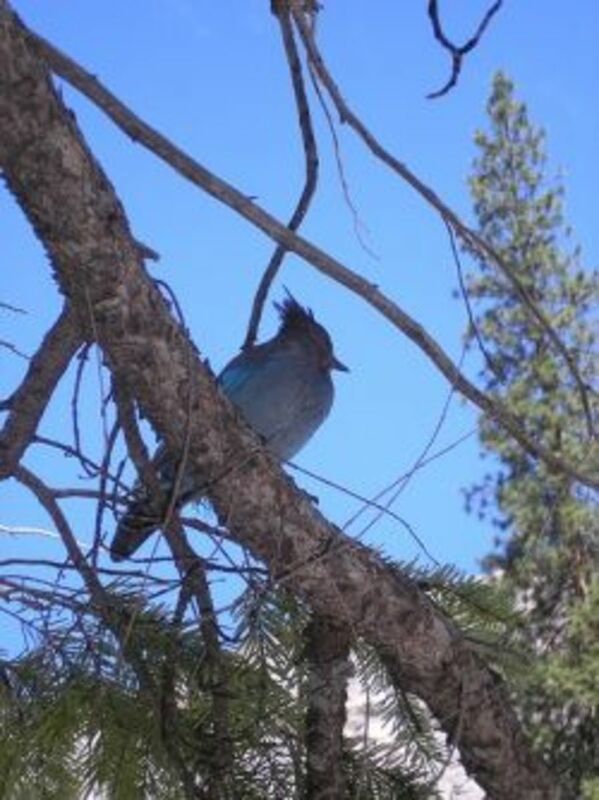 In fact, they actually begin to look for backyard feeders in late summer and early fall so you want to start regularly filling your feeders at that time. 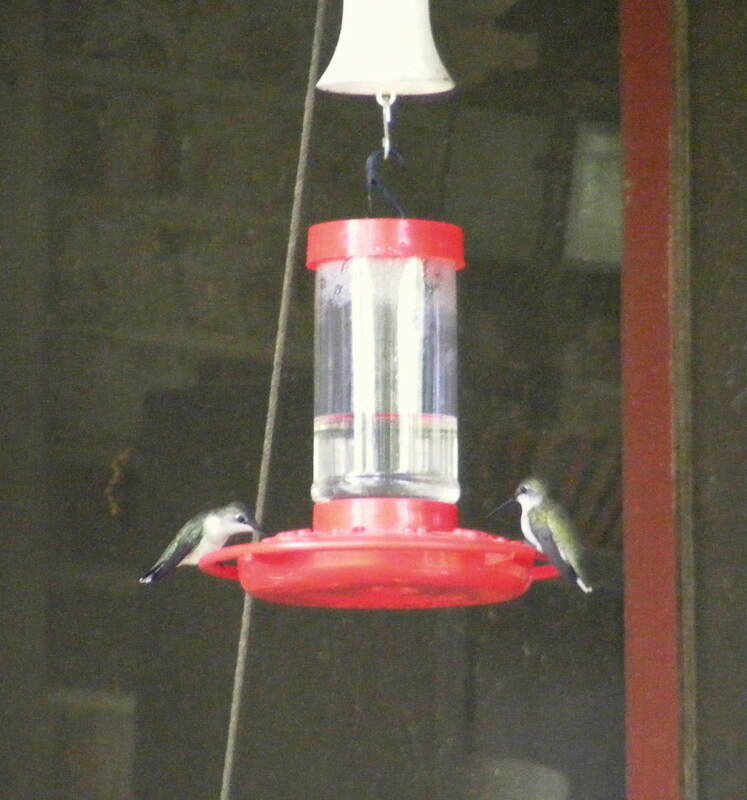 This also places a responsibility on you to keep those feeders filled through the winter once you have regular visitors that come to feed. 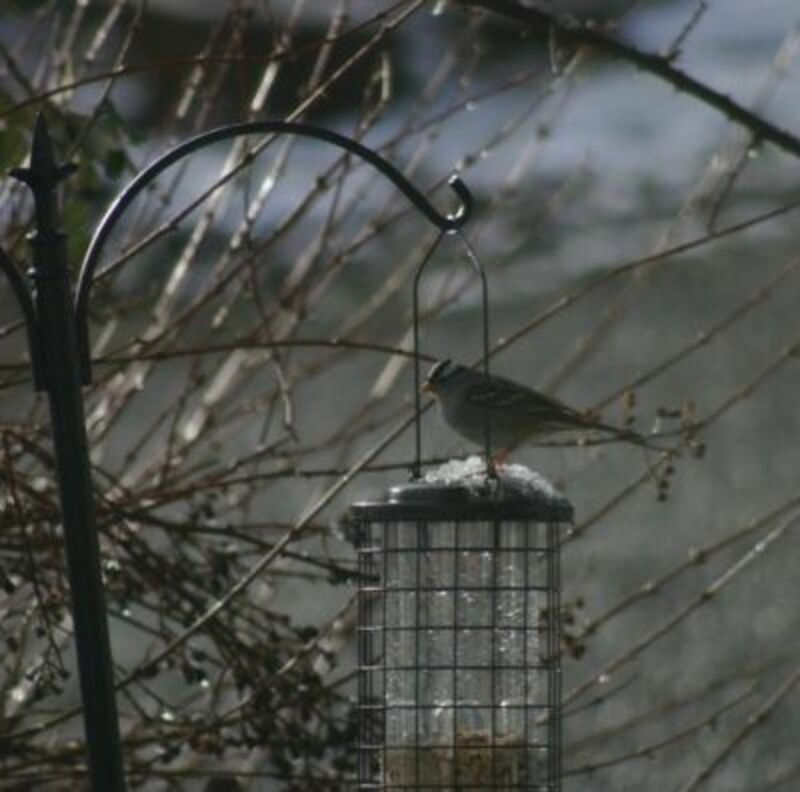 For tips on how to clean your feeders, here is a link to some bird feeder cleaning tips. 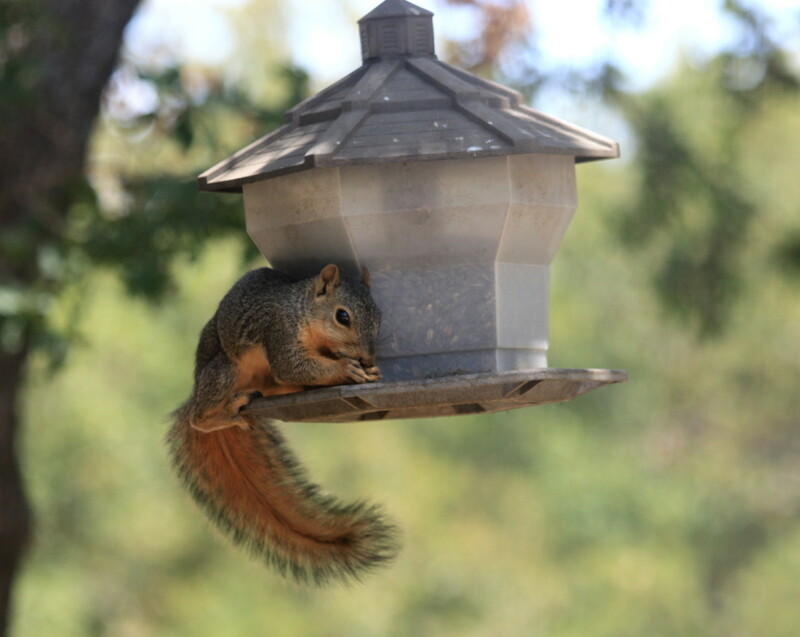 What Kinds of Food Should You Put In Your Feeder? During the winter cold months, it is especially important to offer lots of calories for birds to keep up their metabolism. High fat foods appropriate at this time of year are black oil sunflower seeds, suet, cracked corn, and a variety of nuts. We also add peanuts bits and bird seed mixes with fruits and nuts. We keep a variety of foods on hand so when the weather turns bad we do not run out of seeds and nuts. We store our bird seeds and nuts in sturdy containers in the garage. This is necessary to keep the rodents from getting into our stash. Bird Feeding Station - We love our feeding station! We put our bird feeding station near a bush for protection and then we planted some rosemary around the base to keep the cats and squirrels away. This has been a popular bird feeder spot for some time now and I highly recommend this product if you have room to add it to your yard. You could place it near a window and then you will have a spot year-round to view birds and enjoy their behavior and beauty. These are the best little binoculars to carry in your pocket or for your younger children to use. They are small and lightweight so they can hold them up easily for longer periods of time. I actually carry these with me on my hikes. You can read a little more about them on my blog My Favorite Little Binoculars. 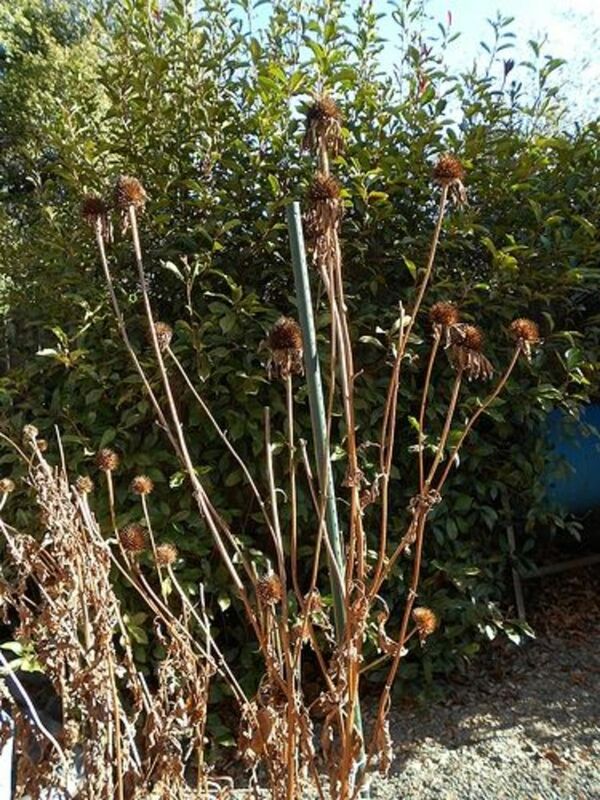 Winter Weeds and Flowers for Birds - Leave those dried flower heads with seeds! Have you ever considered leaving some of your seed-bearing plants in the garden over the winter? Many of us like a neat and tidy yard so we pull out the last of the dried brown plants after the last bloom. 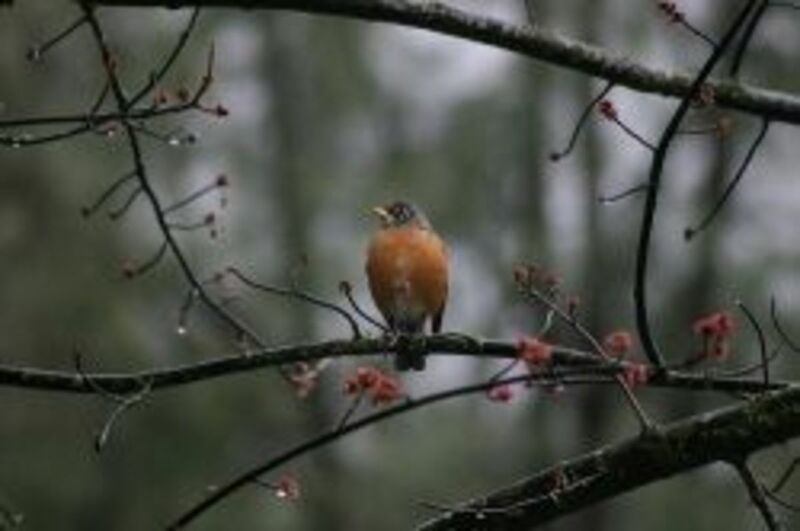 Although they may be done blooming, there are seeds that many birds can glean during the long cold winter. Seed-eating birds like goldfinches and juncos will find your dried weeds and flowers a delicious meal, perching on the flower heads to pluck out some seeds. Try leaving your coneflowers, asters, thistles, and wildflowers until spring and the birds and insects will thank you. Learn the bird songs for your backyard birds easily with this wonderful interactive book. Press the button and hear the bird's song, along with the detailed illustrations you will not regret acquiring this resource for your family. 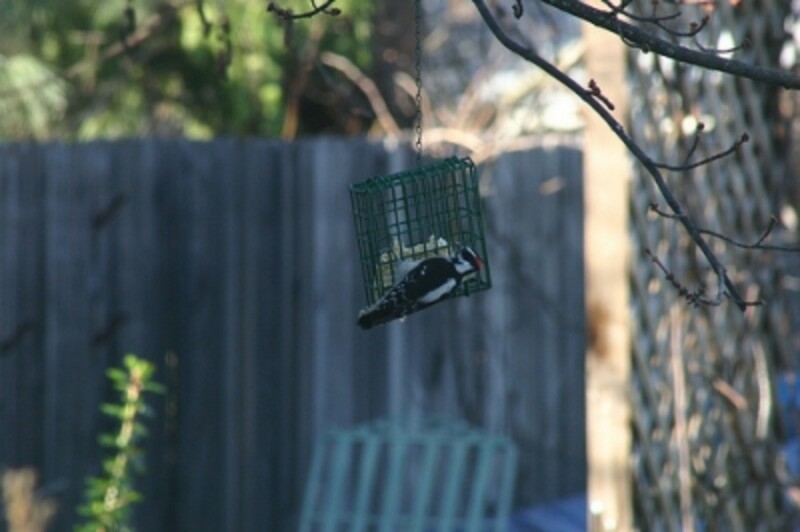 Do you have birdfeeders you fill in the winter? No, we haven't started feeding the birds in winter. 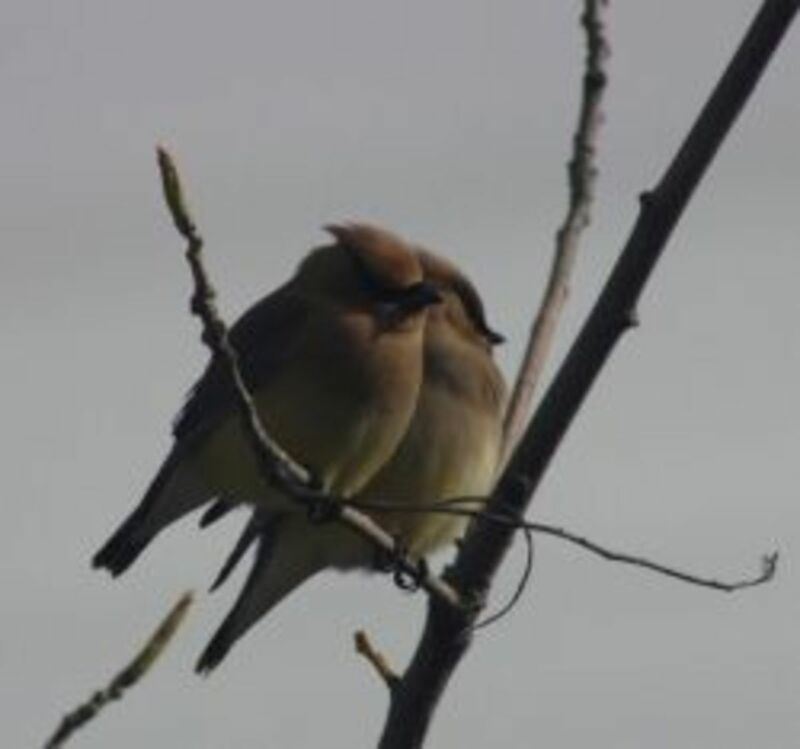 Some birds will roost together for warmth and roosting boxes will attract these birds to your yard. Coveside Small Winter Roost. Safe Bird House for Protection from Predators and Cold Weather. Made in the USA. This simple to install roosting box is a great way to encourage birds to shelter in your yard. Be sure to clean the box out at the end of the season in preparation for next year's birds. 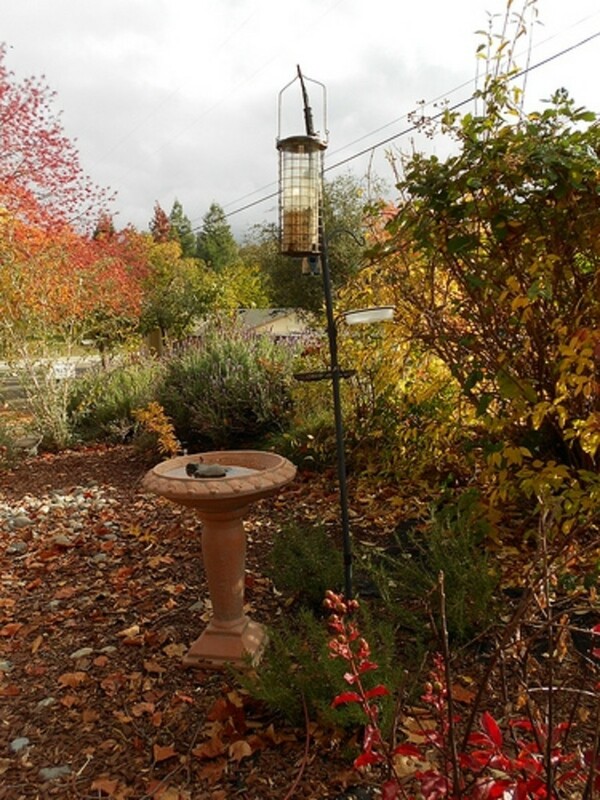 Bird baths a important source of water in the winter months for the birds in your yard. You need to make sure to keep them filled and de-iced in order for the birds to benefit from them. 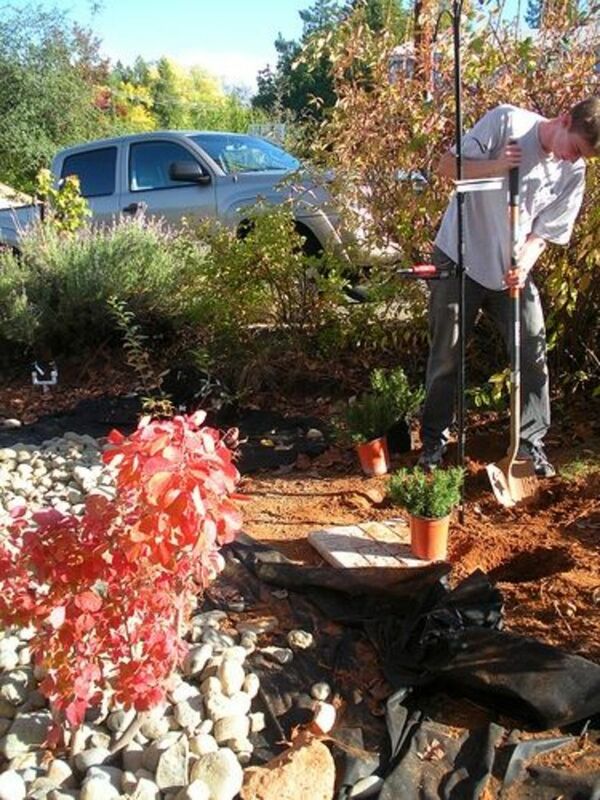 You can place the bird baths near feeders or near a window for filling convenience. We have a friend that has placed the bird bath so they can open a window and pour warm water into it without braving the cold winter snow. 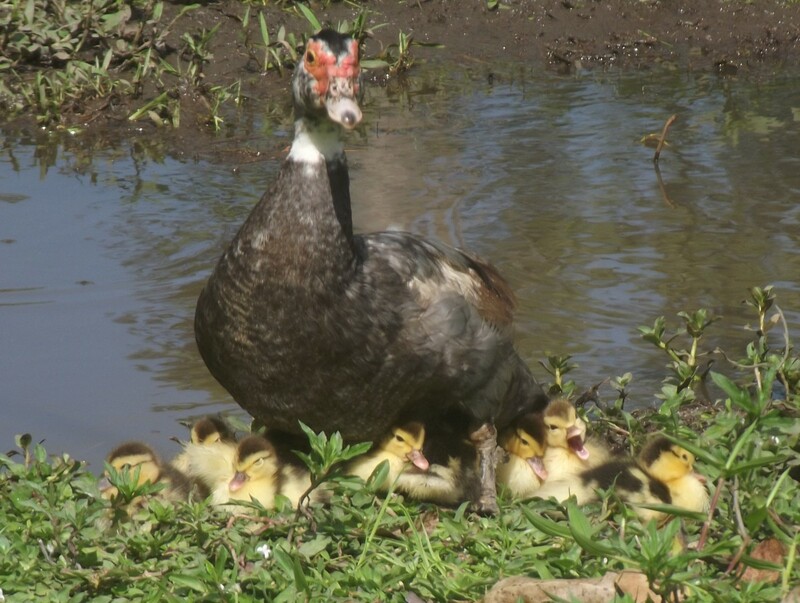 Water not only helps the birds to keep hydrated but it helps them to preen their feathers. It is vital that the water not be frozen in the cold winter months. This bird bath has a heater to keep the water deiced. If you already have a bird bath, you can purchase this separate unit to keep the ice from forming. I love to feed the birds in the winter. They are so much fun to watch. Your pages are always so nicely put together and informative! We pick them apart later for nature study. Thank you! 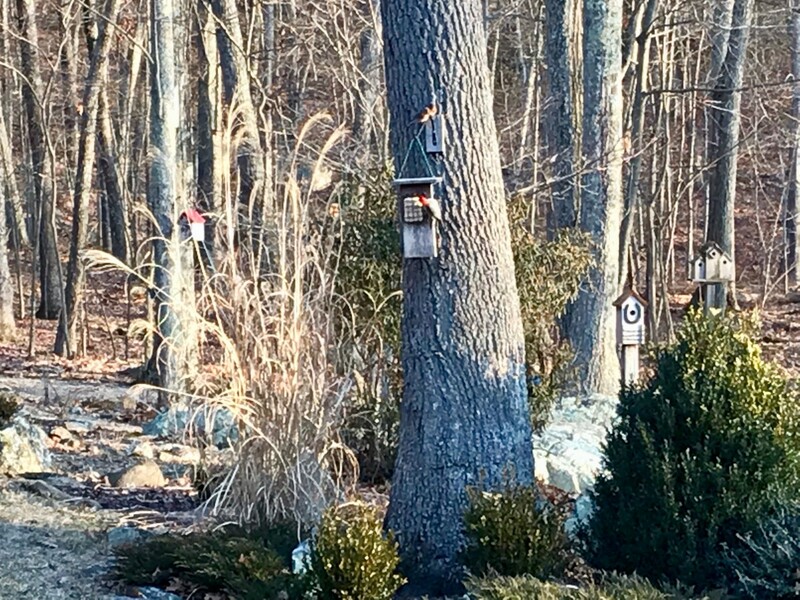 I've enjoyed birdwatching and feeding the birds in the winter for many years, and learned some great tips from your lens. I especially appreciated the idea about planting rosemary around the base of the feeder to keep cats and squirrels away - will try that one. Great photos, too! Wonderful lens! Lots of great information and photos! Hello from a Squidoo greeter! nicely done lens and very informative...I love feeding birds.